Snowridge Country Cabin is tastefully decorated in a modern northwoods style and comfortably sleeps six to eight guests. This newly redecorated three bedroom, two bath is sure to please with its 4 bunk beds, 1 queen bed, 1 queen sofa bed, and 2 double beds. Located in the forest greens, Snowridge provides a great deck with spectacular views of aspen and fir during winter snows and the magnificent mountain summers. There are extensive mountain bike trails throughout the area reaching as high as 11,000 feet. The Shakespeare Festival in Cedar City, 35 minutes away, is world-renown and plays through the entire summer. Trout fishing in mountain lakes is also a popular pastime. The skiing at 10,000 feet has some of the driest and best powder in existence. The ski slopes are uncrowded and offer a variety of terrain. Snowmobiling and snowboarding are also available. Brian Head is a small mountain town that is pristine and has changed very little since the 1950's. There is a small mountain lake that attracts many who enjoy kayaking and fishing for trout. Brian Head Resort has numerous ski runs as well as an area for sliding. The skiing is dry and powdery. Snowridge Country Cabin is completely surrounded by trees in a very natural setting. Wild life is abundant with deer, raccoon, squirrels, fox, and a variety of mountain birds. If the shuttle drops you off at Annie's Market, you will be able to ski to the cabin if there is enough snow on the road. Bed sheets, pillows and pillow case, bath and kitchen towels are provided. There is a standard coffee maker as well as a Keurig. All dishes, spices, cooking utensils, coffee maker, toaster, bread maker, and crock pot are included. There are two chests that contain games. There are two kayaks that can be provided upon request. 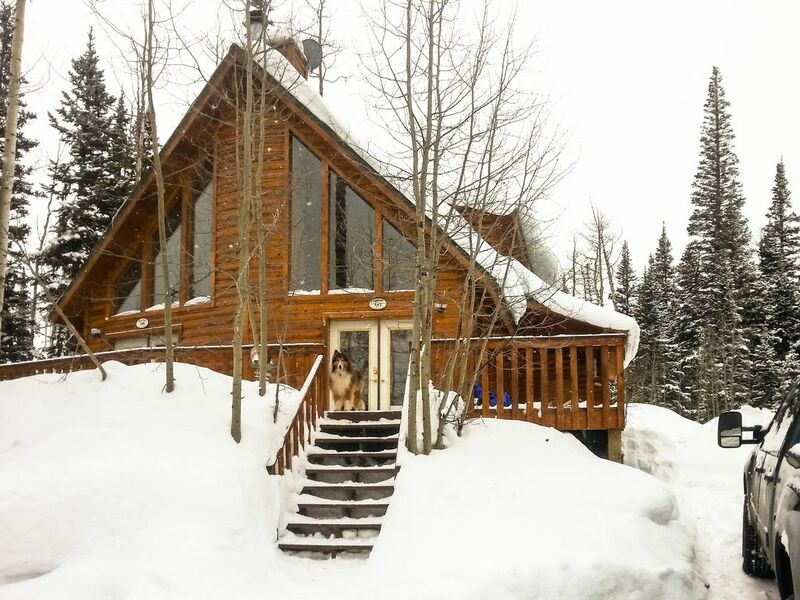 Snowridge Country Cabin is located within walking distance from the Navajo Lifts (less than five minutes). Shuttle service to Giant Steps lift is one block away. We also provide free cross country skiing equipment, snow shoes, and kayaks upon request.